Here we go! It´s time again for the Carnival of Cultures in Berlin, one of the most attractive and funny events in our wonderful city! 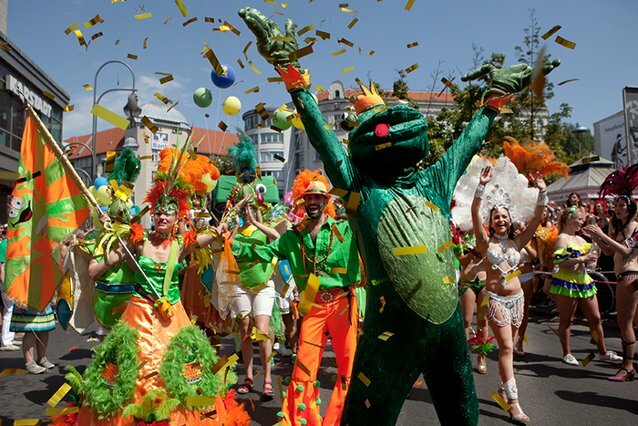 Like every year, this week end thousands of people will join in Kreuzberg to breathe the spirit of different cultures, listen to the variety of music and admiring all the costumes and music trucks at the street parade that takes part sunday 25th of May. The Carnival takes place from friday 22nd to monday 25th around Blücherplatz (U1 and U6 stop “Hallesches Tor”) with over 100 bands and DJ´s performing all kind of imaginable music and over 200 street performers out of the stages!! This entry was posted in Berlin Guide, Event, Kultur, Party, Summer, Whats up in Berlin and tagged 2015, art, carnival, cultures, festival, germany, hermannplatz, highlight, Hostel, karneval, Kreuzberg, kulturen, music, parade, Party, street, streetfood, techno, Whats up in Berlin, world by U inn Berlin Hostel. Bookmark the permalink.